Evelyn Noel Orcutt is my youngest grandchild – the youngest of three, Liam 7, Katy 3, and Evie 15 months, who belong to my daughter Ali-Alexandra Kathryn Holshouser and her husband Gregory Alan Orcutt. 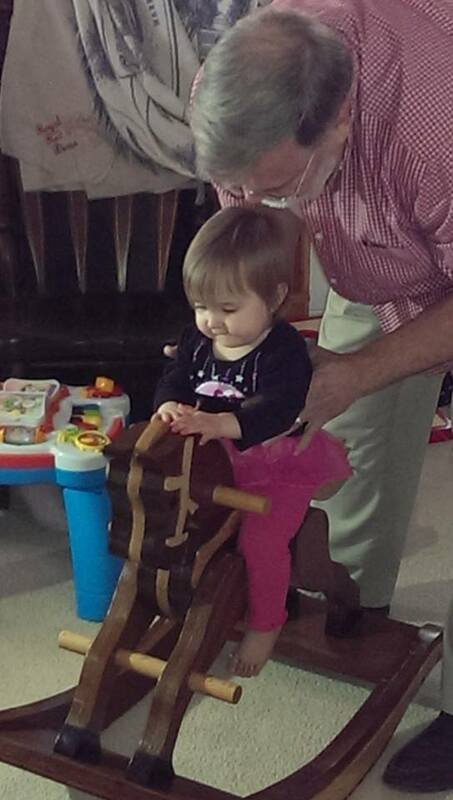 Pictured above with her Grandaddy Max, my husband, who made that beautiful mahogany and oak rocking horse for the children for Easter, 2015. Evie is just coming into her own as a little person, not just a baby. I love to see her playing games with us like when she is in her high chair and throws her sippy cup onto the floor for the 10th time, and says “Oh-oh! “ so convincingly as if it were an accident!” Someone picks it up, and within a second it is back on the floor, as long as someone is playing! She laughs and giggles..oh my gracious, is there better food for the soul than the sound of a child’s laughter? Isn’t that an interesting legacy, at least 4 Evelyn namesakes , two from her Father’s side of the family and two from her Mother’s side. Actually, there are more Evelyn’s in our tree I am sure, but perhaps the most important one is her relationship to Eve of Adam and Eve! Truly, I have gathered together, with the help of other researchers, our family line from Eve Orcutt, b. 2013, to Eve born about 4020 BC! I cannot print the ancestral line in this post, because I have it in a notebook, and it takes up about 22 pages. I have not had it checked by a Biblical scholar, but I would truly like to have that done one day. I put it together as a gift for Evie and for our whole family, and it feels awesome to I look at it. If you have a strong desire to look at this information, leave me a message in a comment and we’ll see what we can do. I’d love to hear about your own name legacies in your families, who are you named for, do you know? Is there a story? I’d love to hear about it. 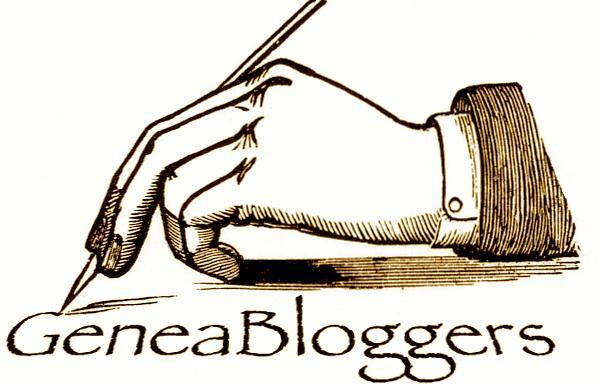 Categories: A - Z Blog Challenge by the 10 Minute Novelist, Orcutt Family posts | Tags: Brown, Evelyn, Genealogy, Haslop, Holshouser, Langhorne, Name legacies, Orcutt family | Permalink. I love the name Evelyn. My maiden name was Lauren Gretchen Becker Eaddy. Lauren, because my mom liked it. Gretchen after a family friend of my dad’s family. Becker was for my Granny Becker. Ether Lee Becker. 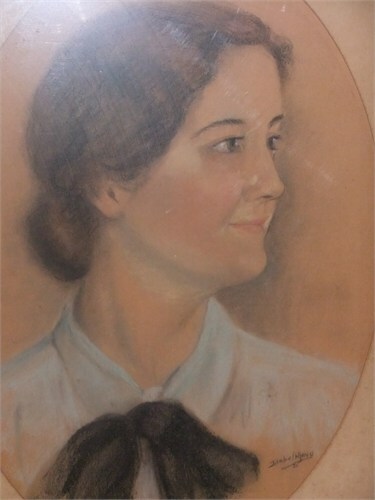 She lived to be 103, and she raised two children as a single parent by selling life insurance door to door after her husband died of encephalitis from a dirty needle during a vaccination. I loved Granny Becker who lived until I was in my 20s , and I still miss her to this day. Wow! What a legacy–103 and a very strong woman! I hope you got many/all of her genes! Thanks for sharing that , it’s so interesting to me how people choose their names. H.
Thanks Judi! We think so of course! Thanks for reading. H.